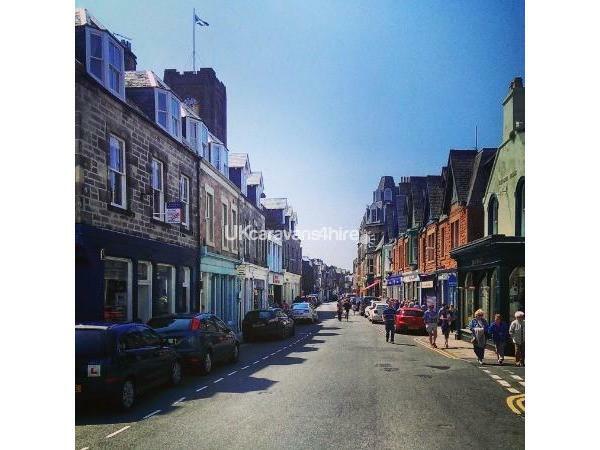 £50 refundable deposit secures the booking with the balance due 6 weeks prior to arrival. In the event of bookings being made within 6 weeks the full sum would be payable on day of booking. The deposit is fully refundable within 7 days after check out should no damages or losses occur. - No refund will be given if the holiday is cancelled within 4 weeks of the start of your break. Visitors should consider taking out holiday insurance against this eventuality. We will always look at it on a case by case basis. We ask that customers take own bed linen and towels, we don't provide these. Main reason is we have had to withhold deposits through ours being damaged. 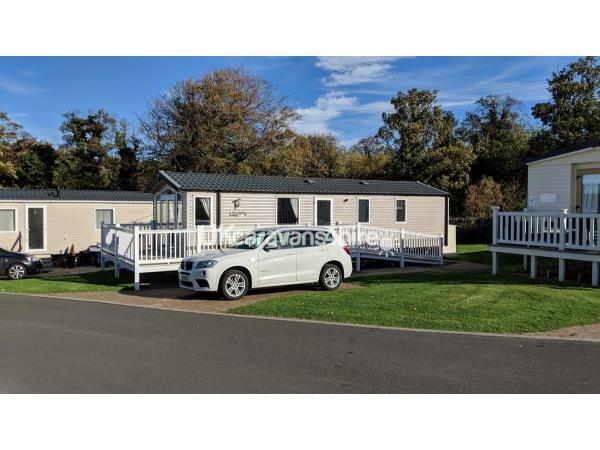 Our 10 out of 10 rated Prestige caravan with secure Decking, 6 berth Swift Bordeaux Exclusive located in Seton Sands Haven site, about 15 minutes drive to North Berwick and Edinburgh is around 30 minutes away. 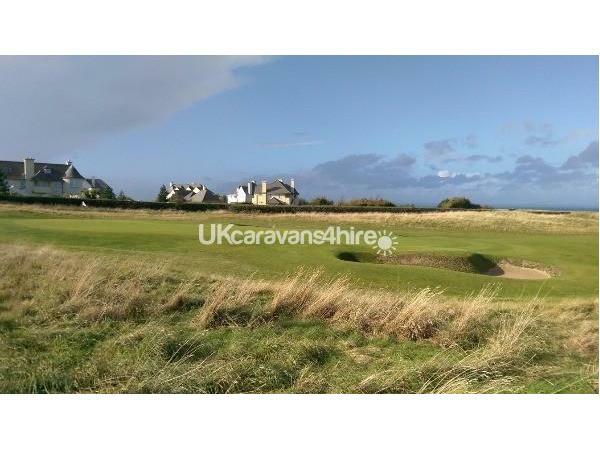 9 hole golf course on the site and plenty to do with Edinburgh, Gullane and North Berwick at either side of you. Pub quizzes, Karaoke, swimming pool, arcades, shows in the bar, a separate restaurant / pub, archery for kids and adults, swing park plus more to fill your time. 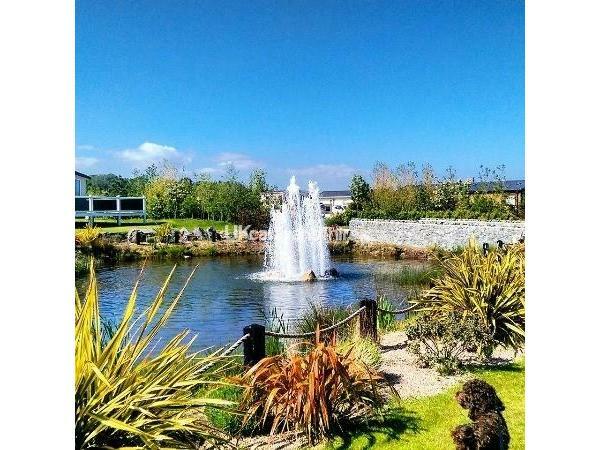 If you are looking for a couple, family or golfing break then this is the place to be. If you have a Sky Q box feel free to take it along with you, we have a sky dish all hooked up, all you need is your box & remote, HDMI and power cable is provided. Thanks for visiting and we hope to be welcoming you soon! Excellent Caravan on lovely quiet park. 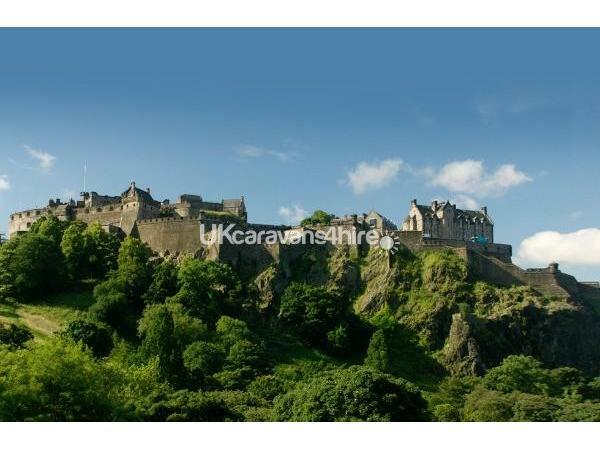 Ideal location for days out to Edinburgh and local golf courses. Plenty of room in it. Chris answered all questions and gave great places to eat. Definately book caravan again, but golf clubs will go next time ???? Can't believe you didn't take them this time! I would have joined you but ended up really busy with work the week you were there. Glad you and the family had a great time and hope to welcome you again. Dealing with Chris was easy, straight forward and very pleasant from answering emails quickly, to sending texts to make sure I had all the info I needed and a contact number the whole experience was thoroughly enjoyable. We did many of the activities that Chris suggested too which were great. Would highly recommend the van, the service and the site. Thank you. Excellent Caravan in a quite section of the park. 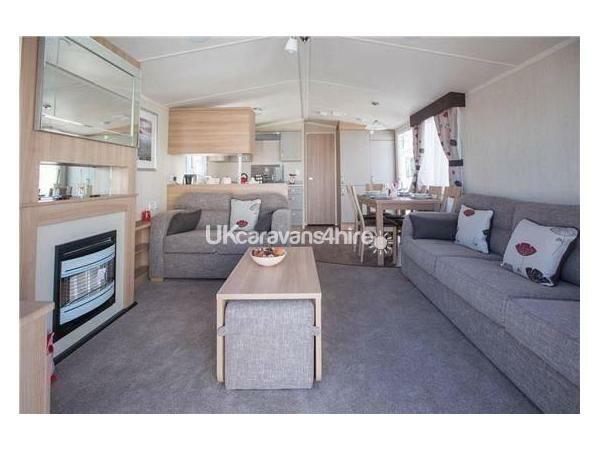 Lovely clean caravan excellent service. Site excellent location to travel into Edinburgh. Our children 9,5 and 3 had a lovely time. We would 100% return to both Caravan and park. Thank you for Great Service Chris. Thanks for your kind words Charlotte and looking after our holiday home. You and the family are welcome back anytime! This was our second visit and definitely not the last. 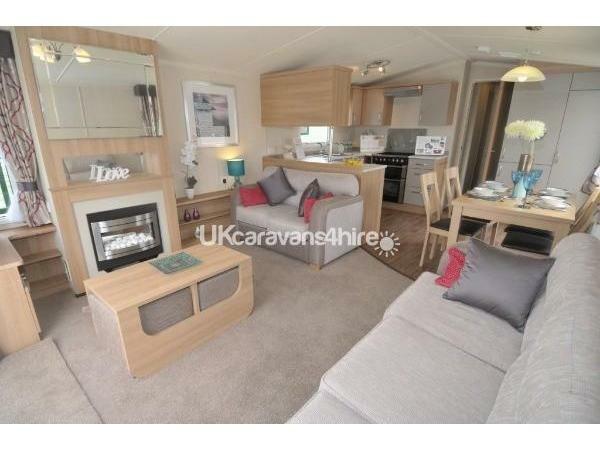 It’s a lovely, clean, spacious caravan in a great quiet location within easy walking distance to all amenities. Chris is very helpful and always quick to reply to any questions. Can’t wait to return ???? Thanks Lisa. Always a pleasure having you stay at our van. Hope to hear from you again soon. Chris. Great facilities, always immaculate and owners are very helpful. Great value for money. The site itself very clean and well maintained. We will definitely be returning. Thanks Siobhan, always welcome at our van, hope to see you guys again later in the year or next year! 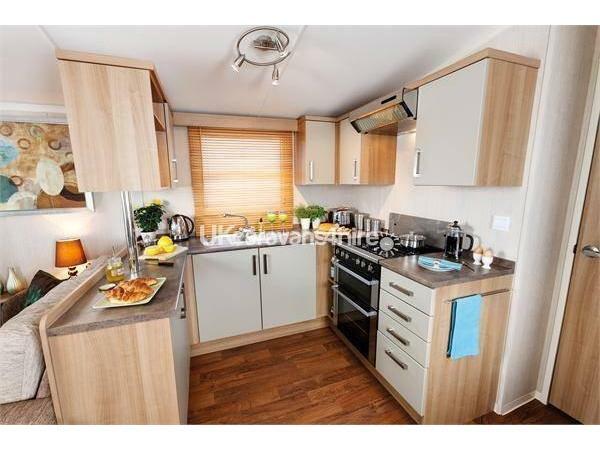 Beautiful homely kept van in a nice quiet area of the park within walking distance to all amenities. Have stayed here several times and no stay has ever dissapointed. The kids love to play in the ‘maze’ and go round the cul de sac on their bikes and scooters. We had a fantastic couple of days in your caravan and would like to thank you. It really is a beautiful home and ideal location. Kids and us are knackered and ready for bed. Thanks again we would love to stay again end of the year or next year. I will highly recommend your caravan to my family and friends. Hi Laura. It was a pleasure having you guys stay and welcome back anytime. Thanks for the kind review. Chris. Debbie & Leo. 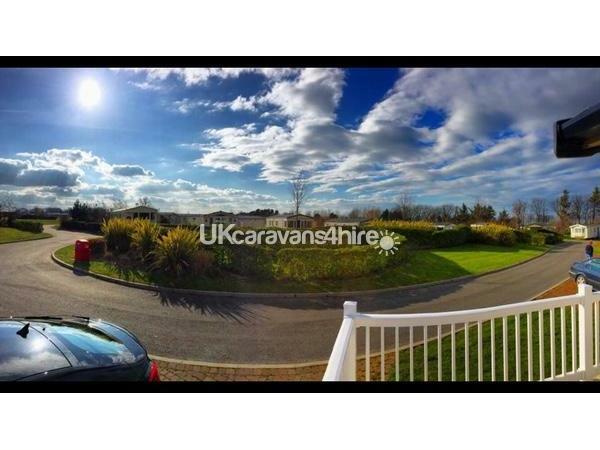 Second visit to this caravan for us and it certainly won't be the last.Great value and location. Owners are very friendly and helpful . Would definitely recommend. Hi Siobhan, Thank you for your review, much appreciated and look forward to welcoming you guys again in the not too distant future :) Thanks. Chris, Debbie & Leo. Had a fantastic time with my husband and our mates last week at this beautiful caravan so quiet and peaceful.. Was nice to relax and get away, will definitely be back..value for money! Beautiful,spacious & very clean van. Very quiet area & the neighbours were lovely too. A short walk from the complex so everything is easily accessable. Was very easy to book & Chris is a very friendly guy & will help with any issues. 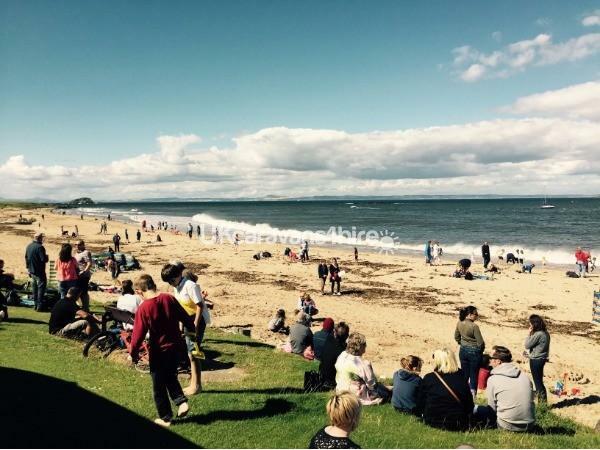 Kids love seton sands & having a lovely van to stay in made it stress free & a very relaxing time for us all. Thank you to chris & debbie for letting us stay in their beautiful holiday home & we will be booking again in the future. Thank you for your kind words, keep in touch as we would welcome you for another stay in the future. Gran, mum and 4 kids. We all really enjoyed our holiday here. The caravan was lovely, very clean and spacious. We loved sitting out on the decking and the little maze garden just outside was perfect to let the kids play out. The park itself is fantastic as well with loads for the kids to do. The entertainment and staff are brilliant. Thanks to both of you for enabling us to stay in such a comfy wee caravan which made a great holiday even better. Looking forward to our return. Thanks Janine, you all looked like you had a great time and we look forward to welcoming you back!Chris & Debbie. Can't recommend Chris's caravan highly enough, from my initial enquiry through to the duration of our stay everything was handled fantastically well. 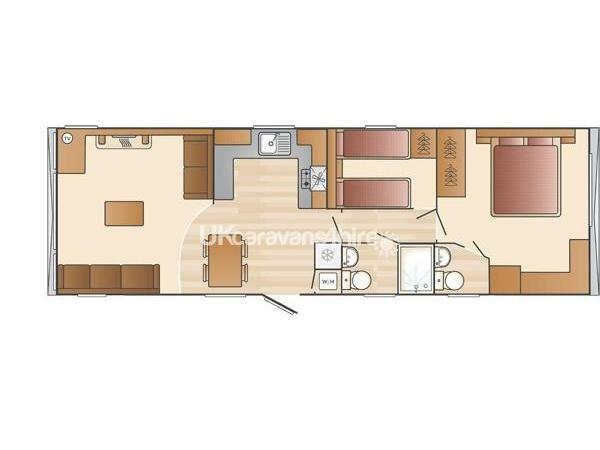 The caravan itself is spotlessly clean, very spacious and in excellent condition. The wrap around decking was a big plus and enjoyable to sit out and enjoy the evenings. Location on the site in the Golf Village is also terrific, with plenty of room betwee the caravans unlike the lower part of the site where it did look a bit cramped in places. 10/10 for service and value for money of our stay, would have no hesitation whatsoever in returning to Chris's caravan. Thanks for the feedback Robert. You are welcome back anytime! Chris. Thank you for your feedback Heather. You and your family are welcome anytime. Especially since you vacuumed before you left. Amazing! We booked this caravan through Facebook in August for a stay in October. We paid for a Monday to Friday stay but Chris allowed us to go up on the Sunday afternoon, great value for money. Our son loved the amusements and the entertainment, think we did too :) All in all, it was a lovely caravan, very clean, tidy and new. It was a joy to stay here and will be booking up for 2016 soon!